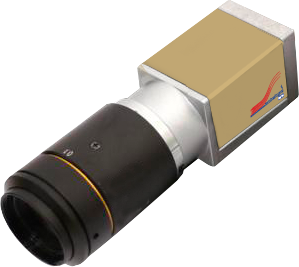 Antelope PICO is the newest member of LMC´s Antelope camera family. It is based on a State-Of-The-Art 2/3“ CMOS chip providing 2K capabilities,a Global Shutter and extreme photo-sensitivity at 600ISO 0dB. The camera head measures a small 29x29x50mm and therefore fits in surroundings where no other Slomo Camera has gone before. In-Goal, on-board or underwater – Finally it will be possible to display stunning action not just as live-camera but also as UltraSlowMotion replay. The integrated frame buffer records up to 330 frames/second (660 frs/sec in extended mode) in native HD1080i. Sequences of max. 30 seconds @ 330 frs/sec are possible using a 32GB memory storage. A permanent LIVE HD-SDI output is available also during replay. Both software based and RS232 serial controls are available.